This list includes the team members that have been part of the Living Archives project. 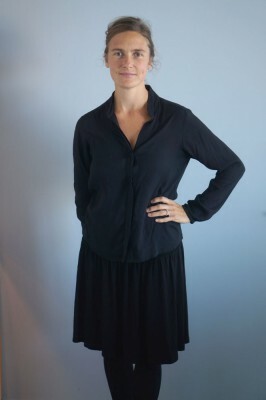 Curator of Contemporary Art and a Professor of Contemporary Art at the Academy of Contemporary Art in Tromsö. Since the past fifteen years I have been working internationally with curatorial practice and educational processes. I have moved physically and intellectually between cultures, locations and practices collecting and interpreting people, material and their contexts from a critical perspective. Contemporary art, conceptual craft and design is a lens that allows me to understand life and participate in society and the politics of everyday life. My interest lies in the trans-disciplinary field with a focus on gender and power structures, and where art practices has a potential to move the world forward. With a focus and experience of within the museum and the public realm, as well as bridging the two, has led my research into various directions. Curatorial work has explored the exhibition as a narrative and as an archive. Social practice, participation and dialogical describe some of the interventions and processes that have unfolded over the past ten years. Through extensive worldwide projects, sometimes referred to as radical curating, of urban interventions and citizen engaged exhibitions like Civic Matters, Urban Concerns, The Gatherers Greening our Urban Spheres, Fear and Gender in Public Space, I have collaborated with citizens, artists, museums, municipalities, NGOs, universities and more. I most recently directed Espacio de Arte Contemporáneo at Museo de Arte Moderno la Tertulia in Cali, Colombia. Together with ASOMUCAF we built the playground and conceptual site La Vida es un Teatro in the eco-village for women in Nashira Colombia. “We are dropping notes of our time” an artist says in the conversation we have about our art practices and writing history. My interest lies within curating the archive as well as investigating the aesthetics and politics of collecting, compiling and presenting stories and gestures. Within the Living Archives research project my research has been in the Urban Archivingstrand. Here I have been working with artistic research and practice in relation to urban texture, storytelling and performing the archive. We have been working with gardens and communities as archives to explore memory, cultural heritage and inclusion vs exclusion. 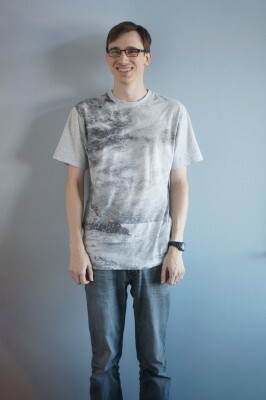 Assistant Professor, Computer Science. PhD. PhD in Media and Communications and within the Living Archives Research Project. Jacek Smolicki (b.1982, Krakow) is a Stockholm-based cross-media artist, designer, researcher and walker working at the intersection of aesthetics, technology, archiving and everyday life. 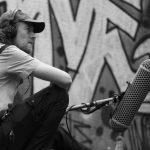 Besides engaging with existing archives and heritage, he is interested in forging and testing new techniques for experiencing, recording and para-archiving space, time and everyday life, especially through the medium of sound. His work is manifested through soundscape compositions, sound installations, soundwalks, site-specific archives, disparate cartographies and post-digital performative situations. In parallel to these activities, for the last several years Smolicki has been committed to a set of documentary practices in which a systematic experimentation with various recording techniques and technologies leads to the construction of a multifaceted record of contemporary everyday life and environment (On-Going Project). One such practice is the archiving of one-minute field recordings executed every day since July 2010. He has exhibited, presented his works, soundwalked and gave workshops internationally (e.g. Madrid, Moscow, Helsinki, Stockholm, San Francisco, Kraków, Vienna, Sarajevo, Budapest,). He holds his MFA degrees in Methodology of Design, Interdisciplinary Studies/Experience Design and Sound Art, and a PhD from the School of Arts and Communication / Malmö University where he was a member of the Living Archives, a research project founded by the Swedish Research Council. 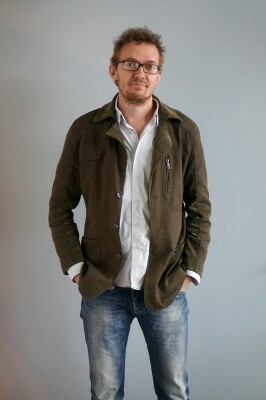 His largely practice-based thesis explored how technological transformations have been affecting aesthetic, material, performative and ethical aspects of personal archiving and memory practices, historically and presently, in the times of ‘capture culture’, which is how he defines the state in which the digital has become the no longer questioned norm. Art Historian and Postdoc researcher on the Living Archives Research Project. For over ten years I have explored the historical representation of African people in the West, in order to understand how visible differences impact social, cultural and political recognition. Much of my academic research has been on early caricatures and popular printed images, made during the era of transatlantic slavery and its abolition. These visual texts are important because they have served as a crucial form of propaganda, inscribing some of our deepest stereotypes and ethnic notions. But images are only one part of a bigger picture, and at the heart of my work is essentially a quest for story: digging for voices, memories and traces that help to reinstate the subjecthood – that necessary “I am” – so often denied to those who are marginalised or forgotten. This is how I have managed to collaborate openly across disciplines, finding voice in artefacts, maps, buildings, code, and even in the molecules of genes. I contribute to the Performing Memory strand of Living Archives through a suite of research interventions under the title Close Contact. Primarily I am using Augmented Reality (AR) experimentally as a tool for interfering with colonial amnesia. In collaboration with project members we are developing curated interventions with device-based technologies that assist in time travel and expose what is either hidden or silent. I am also interested in the effects of entering archives for researchers who work with challenging material, and thus developing a reflective soundscape project to capture these untold stories. My Yoruba cultural heritage is one that is entrenched with archiving rituals that begin with the songs of the elders who welcome your birth, narrate your family lineage, and imbibe the secrets of your destiny through a deeply considered name. Even before you can speak you are subtly cognizant of an embodied and dynamic relationship to a larger cultural schema. In this way I consider archiving as a holistic narrative method for linking people to place and memory, using old connections or forging new ones, through a series of practices and gestures supported by a duty of care. Senior Lecturer, Interaction Design. PhD in Education Sciences. 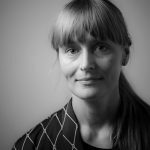 Elisabet Nilsson, Ph.D. Educational Sciences, holds a position as Senior Lecturer in Interaction Design at the School of Arts and Communication(K3), Malmö University. Her overall research interest concerns the relationships between social change and technological development, and how the introduction of new technologies and mediating tools evoke new patterns of behaviour and thinking. 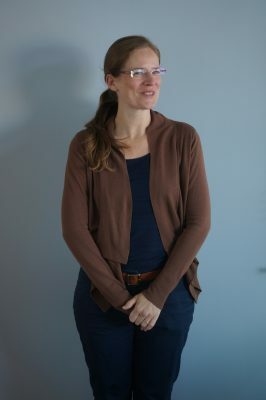 Since 2010 she has been working in the field of interaction design running research projects conducted in real-world settings, applying participatory design, and living lab methodologies. In one way or another, all her projects circulate around matters of sustainability with a focus on tools and methods for prototyping alternative futures and promoting dialogue, collaboration and knowledge transfer. 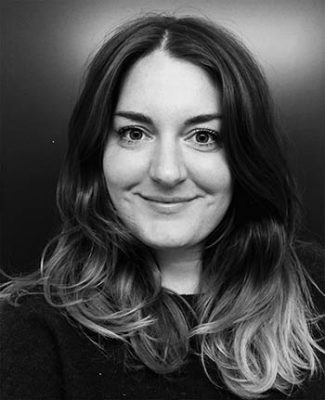 Besides research activities, she also teaches at the Interaction Design Master’s and Bachelor’s Programmes at K3. In Living Archives, she has been part of developing the research themes Co-archivingand Urban Archiving. Postdoc with the Living Archives project. I recently finished my PhD in Cultural Studies at Goldsmiths, University of London where I looked at the potentiality of unbridled data dissemination by way of explicating and developing both theoretical (by way of a non-legalist, posthuman hacker methodology) and practical (anti-forensic) techniques of removing any impediments thereto by countering the politics of intellectual properties (malignancies such as copyright/left) and removing forensic watermarks from cultural bodies of work. I’m now a postdoc with the Living Archives project, looking at practices of archival protection. My perception of archival best practices is predicated upon the notion of unreliability. Given that it may be advantageous for an archive to receive a continuous influx of material, it thus stands to reason that the removal of potential contributors, or their reluctance to contribute in the first place, would then be adversarial to the archive (not to mention that it may be highly unethical to expose archive contributors to risk of apprehension). How, then, are we to foster a sustainable possibility of continued archival contribution? For me, this aim is at least in part achieved through the heightened provision of safety assurance by elevating the level of anonymity available to potential archive contributors. One way of striving towards anonymity is then via unreliability: by manipulating existent potentially personally identifiable information in contributed archival material (e.g. watermarks, metadata, biometrics, telemetry, etc.) so that its origins may not be readily traced back to the contributor, thus allowing the contributor the opportunity to remain safe from apprehension by any potential adversary. In other words, one of the key issues of the practice of archiving for me is how can we help protect those who contribute to archives, thus protecting the archive itself? Professor, School of Arts and Communication (K3). Director of the Living Archives Research Project. Working at the convergence between philosophy, dance and digital technologies, I cultivate a creative and critical approach to embodiment in a world of ever expanding networked digital media. I contribute to both the Performing Memory and Open Data strands of Living Archives by exploring the use of Augmented Reality on mobile devices to situate archival material in urban locations (“AffeXity”); by developing the affective and performative implications of “Somatic Archiving“; and by challenging the rhetoric of openness with “Performing Encryption“. I see archiving practices as paradoxical combinations of the subtle and overt: they are deeply embedded yet networked, elusive yet trackable. There is much discussion of what is excluded or forgotten in archiving, as if we should either remedy or celebrate the loss. Taking a somewhat different perspective, my current stance on archiving is to understand the inherent ambiguity and necessity for closure or veiling, alongside strategies for preservation and sharing. Professor, History and the Director of Research at the Institute for studies in Malmö’s History, Malmö University. Historical and archival perspectives for both strands. Senior Lecturer, School of Arts and Communication, Malmö University. PhD Cultural Studies. I have an MA and PhD in cultural studies from the UK where I also worked in Museum Studies for a few years. 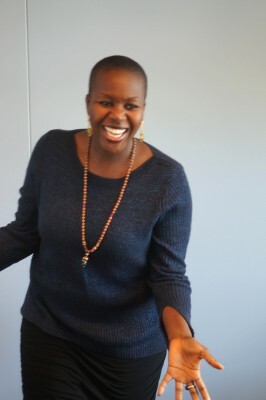 In Malmö I’m primarily involved in the MA in Communication for Development program. Over years I have been concerned with popular memory, music, oral history and stories of migration and conflict in remembrance genres. Lately there has been a new emphasis on youth and media through Unicef projects in Tanzania and Mozambique. In Living Archives I am exploring practices of reclusion working in tandem with generally celebrated modes of openness and transparency. As an important addendum to a general desire for openness, I’d advocate for a plurality of discrete ‘residences’ or archives – and a variety of citizen arkhons (in control or authority of the archive), which – when the purpose is right – can open itself to and with others. An archive may be accessible and even hospitable, yet intimacy and interaction may in many cases be important citizen empowering additions to grand, public and often nearly dormant archives? Research Assistant, Living Archives Research Project. Adjunct, School of Arts and Communication (K3), Malmö University. M.Sc. in Digital Design & Communication. Digital Designer at Politiken. Research assistent in the Co-archiving Refugee Documentation project under Living Archives. BA in Journalism and M.Sc. in Digital Design & Communication. 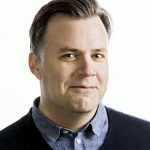 I have a background in journalism from the Danish School of Media and Journalism, but have in recent years directed my focus towards the converging fields of design, technology and journalism. I have an MA in Digital Design & Communication with a specialization in Interaction Design from the IT University of Denmark. Senior Lecturer, Department of Computer Science and Media Technology, Malmö University. PhD. in English. I have a PhD in English from Uppsala University and a strong profile in the Digital Humanities. 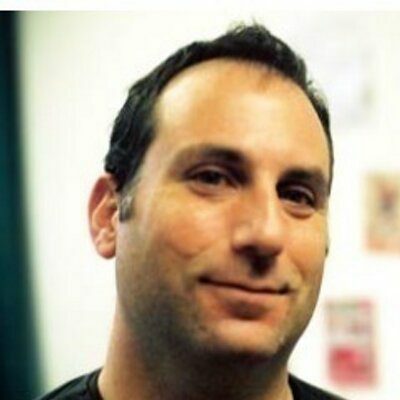 I am also a collaborating researcher with the Augmented Environments Lab at Georgia Institute of Technology (US). In collaboration with this lab I have been working a lot with the Augmented Reality browser Argon. In Living Archives we explore how location aware technologies such as AR support site-specific narratives. My research focuses on critical media studies and design research: how technologies along with creative and narrative practices integrate with urban, social spaces. Within Living Archives I am interested in how media forms affect aesthetic practices and urban life. Questions that interest me in Living Archives include: how do we actually work with data, how do archival practices intersect with mediated locative platforms for sharing, and how do media design practices change with a more critically aware understanding of those mediated experiences and practices. Another key interest for me is how we engage intellectually, emotionally, and through our senses with urban mobile media.